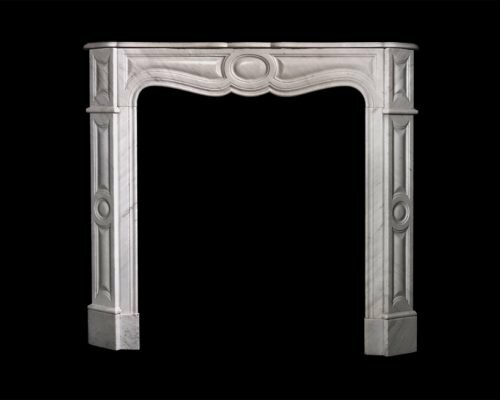 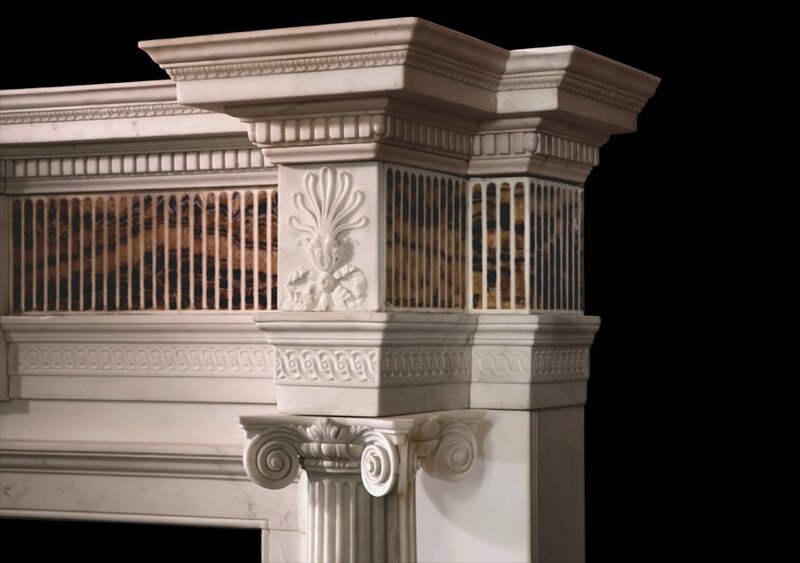 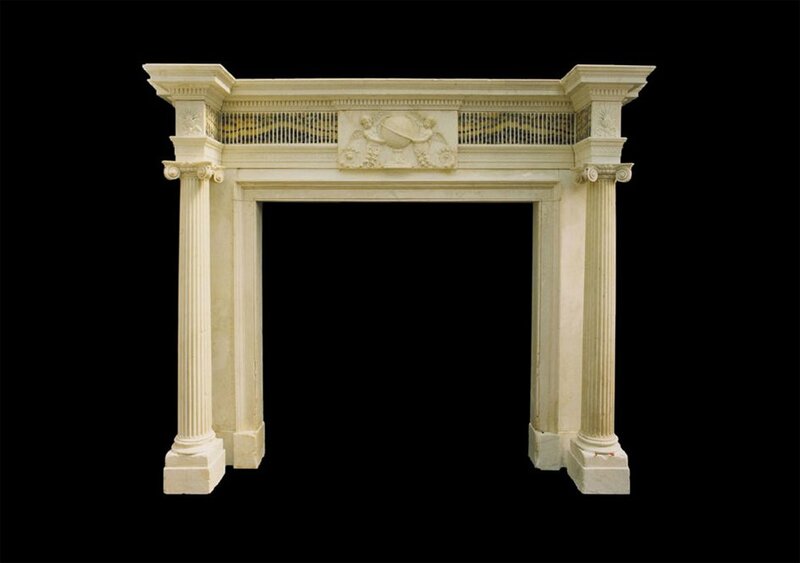 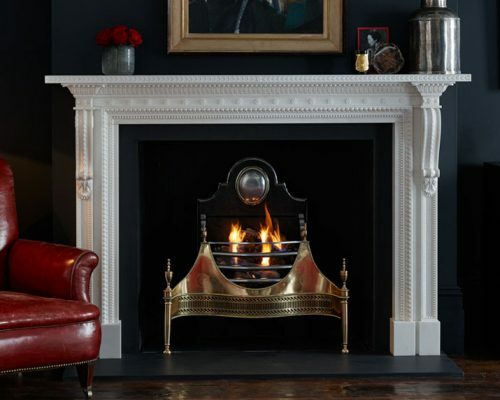 Late 18th c. statuary marble chimneypiece with detached fluted columns terminating in ionic capitals beneath corner blockings carved with Anthemions. 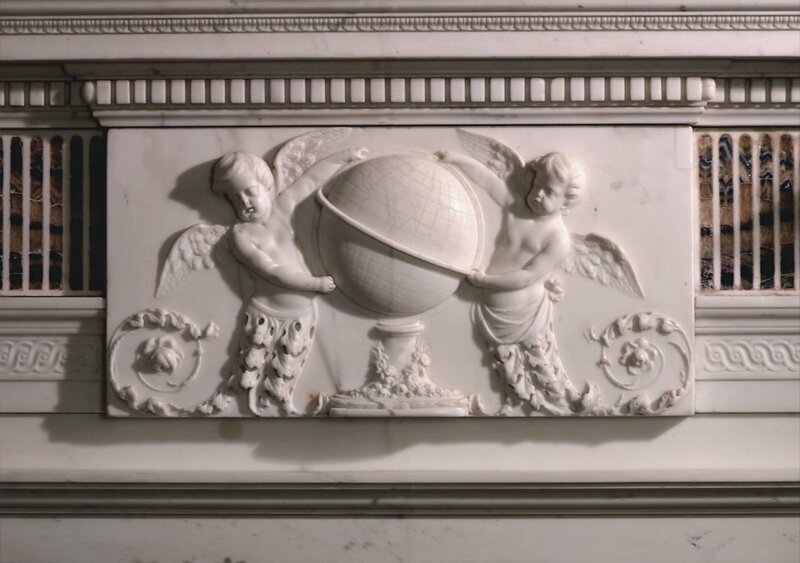 Bearing many hallmarks of the work of Robert Adam. 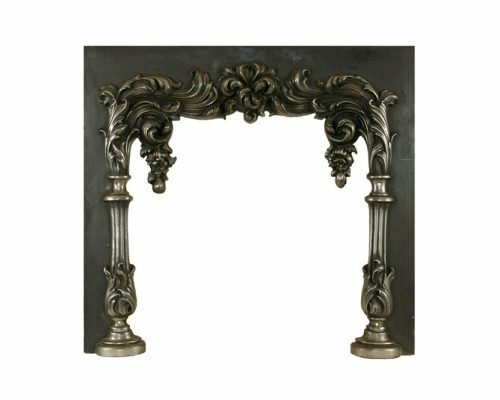 Please note this antique is held at Chesneys New York.